He has regarded the prayer of the destitute and has not despised their prayer. Psalm 102: 17. 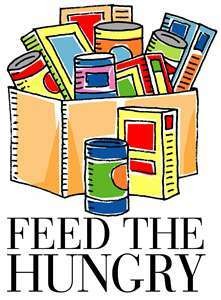 “What do you need?” my husband asked the director of a local food pantry during the holidays last year. The two had just met ‘by chance’. Then he outlined a story about a great need the pantry staff had faced the week before. For years, a local company donated $2,000 worth of turkeys every Christmas. But the company was now gone, replaced by a larger corporate entity. Someone had made a donation that would have put a small dent in this need. But Christmas was coming fast. Then Bob’s phone rang. A local grocer was in a panic. Someone had accidentally frozen dozens of turkeys labeled “fresh”. The company could write off the turkeys. But they could not sell them. “When would you like us to pick them up?” Bob asked. The holiday season is filled with stories of kindness. But only God could have “accidentally” provided so many turkeys, the exact need for the pantry’s patrons. As miracles go, this one is small. But tiny miracles are sometimes the ones with the most power to encourage. My friend was ringing a bell beside a red kettle. Passersby impressed her with their generous donations to the kettle and a gift of hot chocolate for her. On social media, I read of a worn out mother trying to get her weary little ones through a restaurant lunch. A fellow diner paid for her family’s meals and helped her herd her flock to her car. Two men in line at a busy store began to argue–each encouraging the other to go first. My husband Paul and I were at the post office waiting to mail packages that were not quite ready to go. A stranger waiting with us helped me wrap. Paul held our places in line. She folded. I taped. The process was fun and not frustrating as it might have been. Someone might argue that these encounters are nothing like real miracles. The laws of nature stood intact through each story. Each encounter, though, reflects regard for neighbor over self. Each person who reached out touched others and those who stood by as witnesses. Imago Dei–God’s image reflected in small acts of kindness. Wonderful little miracles to give hope to those in need, to a weary traveler, to a busy shopper. Perhaps those who received their Christmas meals from the pantry last year did not realize the miracle of the turkeys. But we know that these meals, like manna, came from above. We are on the cusp of the giving season that celebrates God giving Himself. We can give the miracle of us and be imago Dei to others. Love your insights, Nancy. I feel the same way. Too many of these non-miracle, miraculous events, occur for it to be random dumb luck. No one since the liberal pundits picking Hillary to win have been this dumb! Thanks for reminding us that God does work in mysterious ways!